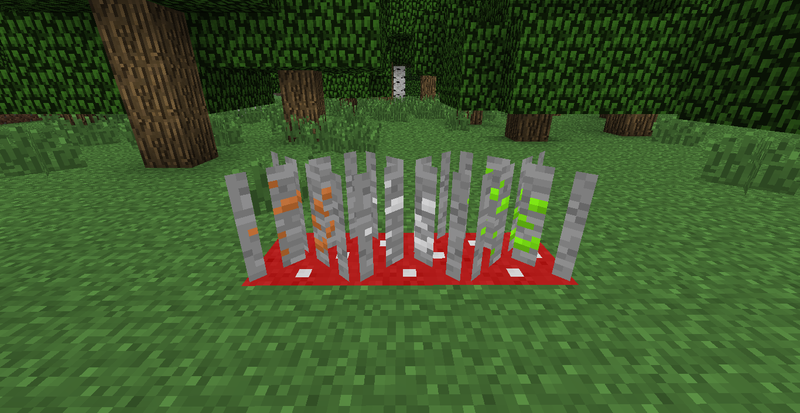 B0bGary’s Growable Ores Mod 1.7.10 adds sugar cane-like growable ore. This recipe is shapeless, meaning the items can be arranged in any order. Charcoal can also be used instead of coal. 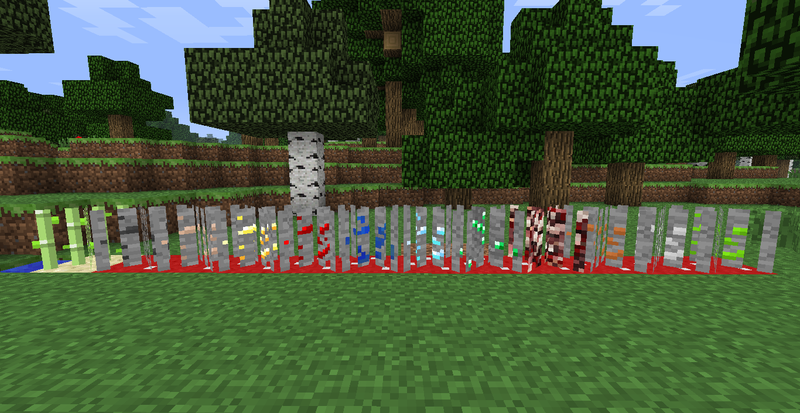 The items for the reed depends on what block the ore spawns in, e.g. stone for diamond, netherrack for nether quartz. 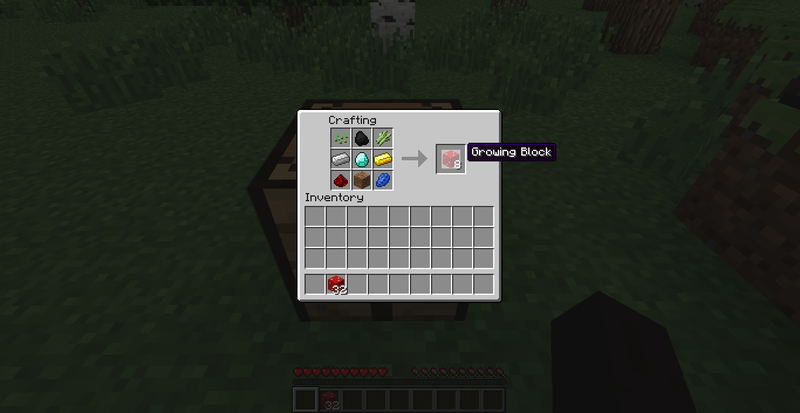 The recipe to get the gem/ingot or other material out of the reed differs depending on the rarity. Ores like this:Coal, iron, gold, diamond, emerald, copper, tin, cobalt, ardite, aluminium, mythril, silver, adamantium, ruby sapphire, peridot, tanzanite, topaz, amethyst, apatite (Biomes o Plenty). 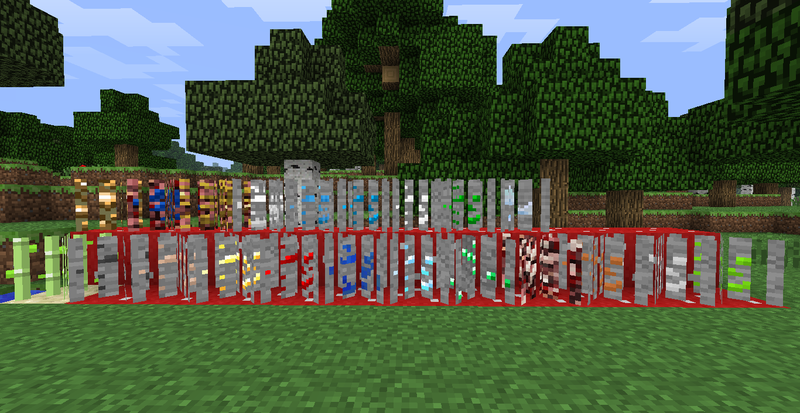 Ores like this:Lapis, nether quartz, uranium, apatite (Forestry), certus quartz, obsidian, clay, air shard, fire shard, water shard, earth shard, order shard, entropy shard, force gem, amber, quicksilver. 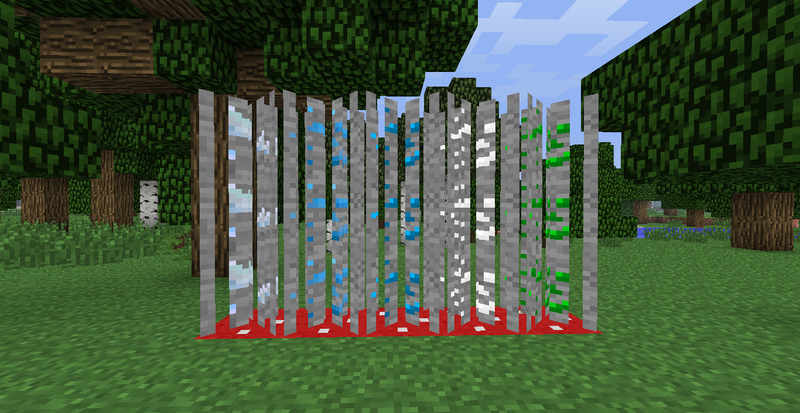 Ores like this:Redstone, glowstone, clay.